A documentary series on contemporary printmaker's studios. 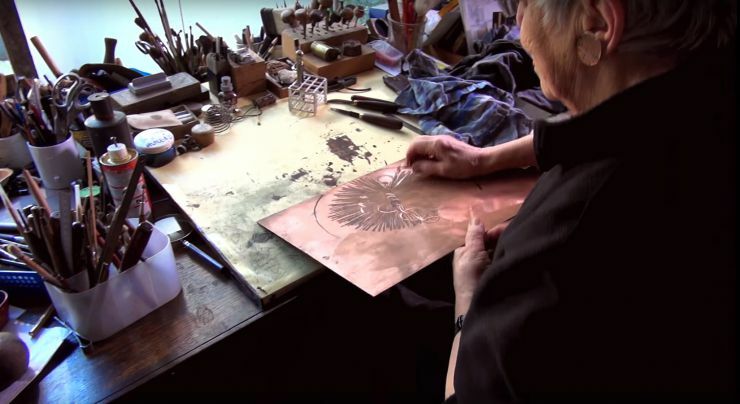 Directed by Bertrand Renaudineau, this series explores the creative centers that are engraver workshops. Each film shows an artist in action and invites us to delve into their inner world. Heavily cluttered or meticulously arranged, light-filled or dark as a cavern, each work space is unique. Each technique, be it steel engraving, relief printing or lithography, is explored from a personal point of view through to the final prints, which sometimes have surprises in store. A complete immersion into a unique universe, where the camera captures the magic of spaces and embarks on an interior and aesthetic journey.